Hope you are All doing good. It takes immense pleasure in writing this article. Recently, I happened to see his statue not in temple or in any Holy Place, but in airport. 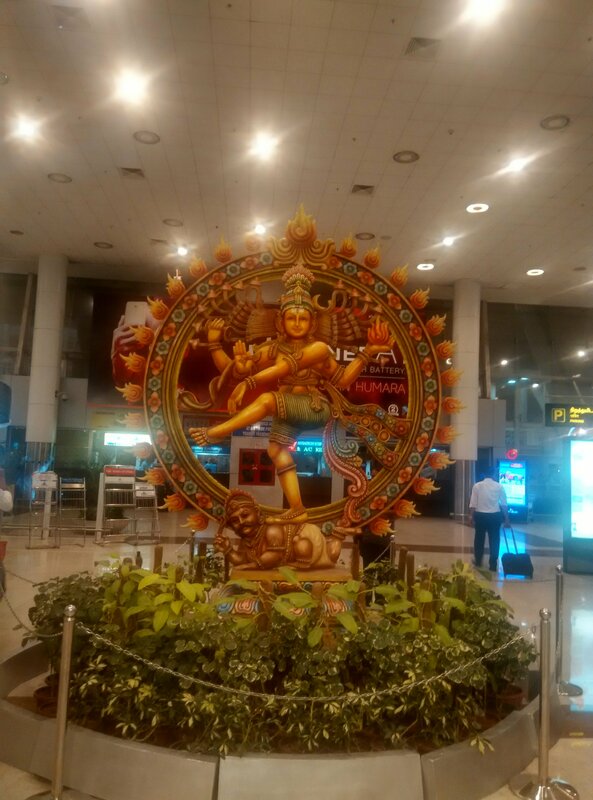 yes, I have seen this statue in CHENNAI AIRPORT, INDIA. Fine, Who is he? y is he standing with his one leg lifted up? His right Eyes, left eye and 3rd eye indicates the SUNIL, MOON and FIRE respectively. The arc of fire indicates the COSMOS AND PERPETUAL MOTION OF EARTH. I am enlightened with a bunch of info from GOOGLE SURF AND WIKIPEDIA. BUT, THE REAL THING IS MY EXPLORATION IS TAKEN OFF FROM THERE. Previous Previous post: Road – Where does it lead to??? Everybody got talent Create a free website or blog at WordPress.com.